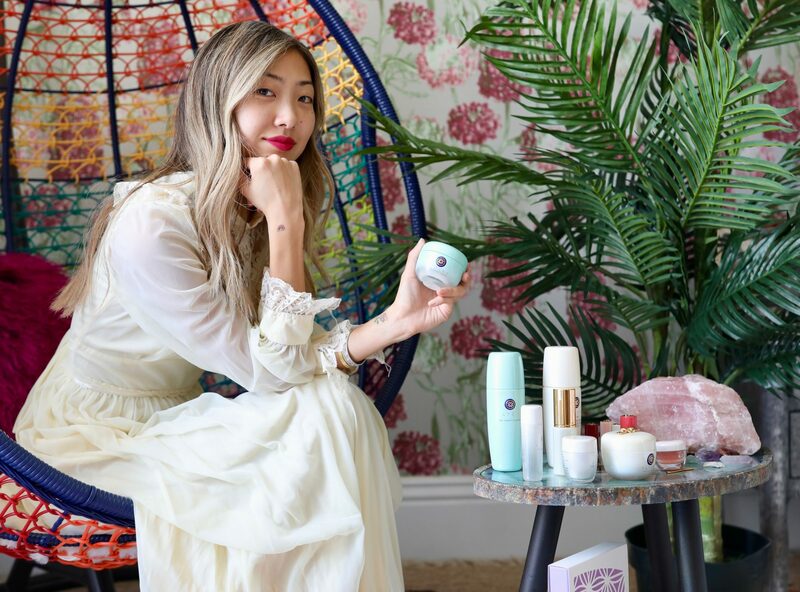 I’m so excited to be partnering with Tatcha for the holiday season! I have been a huge fan of their products for years, and am obsessed with their famous Rice Polish enzyme powder face wash! I love the gift sets they have come out with this holiday season, which will be my go-to stocking stuffer. 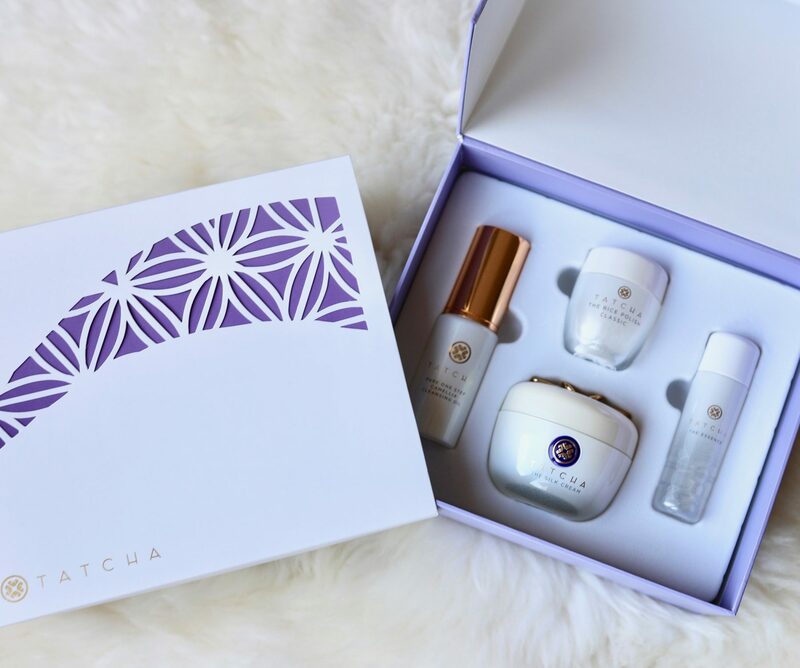 The gift set contains all of my favorite Tatcha essentials, and is the perfect introduction to this amazing skincare brand for anyone who hasn’t tried their products yet! Also, not only are Tatcha‘s products amazing- how beautiful are they?! The Pure Skincare Delights Gift Set, which is the four-step ritual for normal-to-dry skin that nourishes and hydrates for youthful radiance! 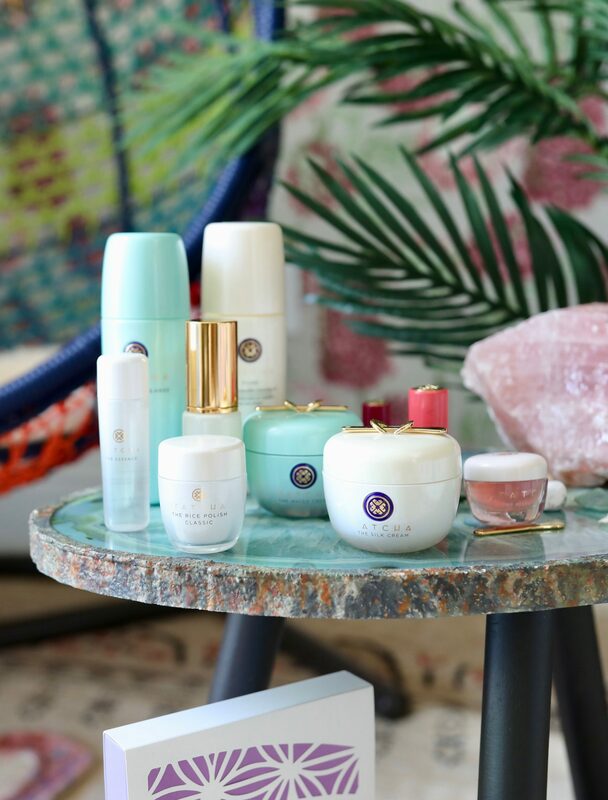 These essentials are the heart of the Tatcha collection! The Rice Polish is what started it all for me! The Blushing Lips Duo Gift Set, that has the Kissu Lip Mask with the new, limited edition Peony Blossom Silk Lipstick (I am OBSESSED with this color!) to impart the appearance of healthier, plumper lips and a flattering wash of youthful color! The Kissu Lip Mask is magical for those of you that suffer from dry lips like me! The Purifying & Pore Perfecting Trio Gift Set, which are the three essentials for a pure and poreless complexion from morning to evening! 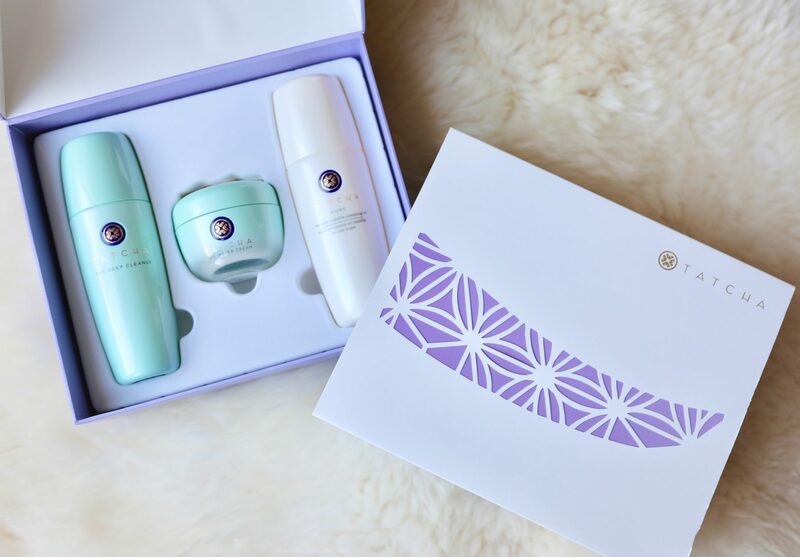 It’s powered by natural Japanese ingredients that purify and hydrate skin while reducing the appearance of pores. My absolute favorite is the Water Cream, its life-changing!! 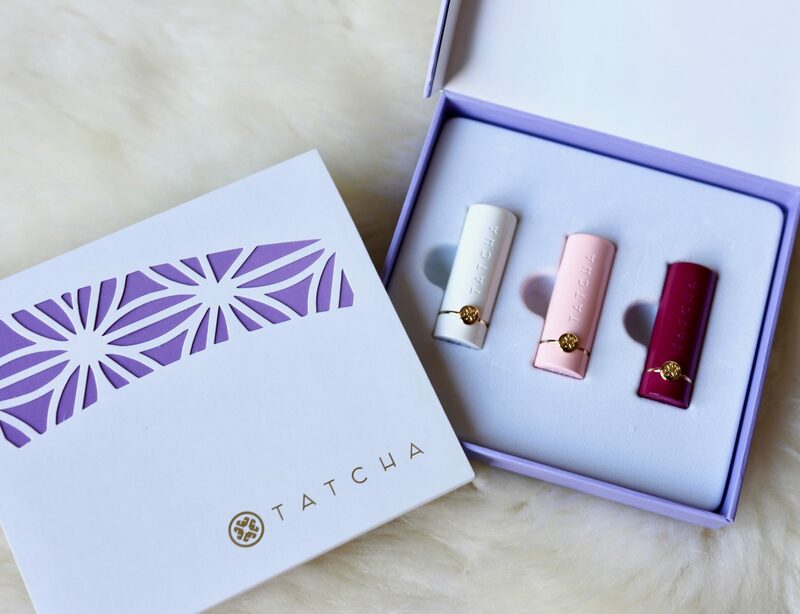 The Japanese Blossoms Mini Silk Lipstick Trio Gift Set, which is a collector’s set of three hand-crafted lipsticks inspired by their love of Kyoto. Made from pure silk extracts to nourish lips and 23-karat gold for a touch of glamour!! They are also the perfect size to run around town with! I love all the shades, but my favorite is the BeautyBerry!